Brooklyn News Corp: ‘Dagim’ Donates Thousands of Pounds of Seafood to the Hungry at ‘Masbia’ During “Nine Days”. Today, July 28th marks the beginning of the “Nine Days,” a time of mourning in the Jewish community. During these 9 days, member of the observant Jewish community refrain from eating chicken or beef in favor of fish. 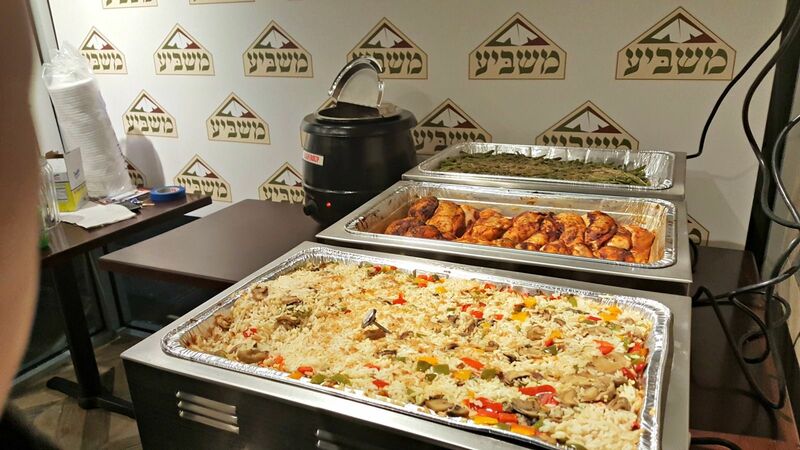 As the kosher eating community, now roughly 1 in 8 New Yorkers, keeps on growing and more restaurants go kosher this is becoming a more noticeable phenomena. The same dietary changes affect all kosher supermarkets where for a bit over a week consumers buy almost no chicken and beef and buy more fish and dairy. Even the Kosher slaughtering plants in New York and Pennsylvania go into some form of hibernation as a price control measure (not flooding the market with unneeded supplies. Thanks to the generosity of Dagim-fish, NYC’s only Kosher soup-kitchen network, Masbia, will be able to remain open to serve 500 dinners every day, offering an alternative menu of fish. Dagim joins the ranks of several community businesses and organizations in Masbia’s newly forming Community Partners Program. From in-kind donations, volunteer support, awareness campaigns and monetary contributions, the support of this growing group of partners is essential to feeding hungry New Yorkers. For more information about Masbia’s Community Partners Program, please contact Beau G. Heyen, Chief Operating Officer, at 718-972-4446 x202 or beau@masbia.org.